Hungry? 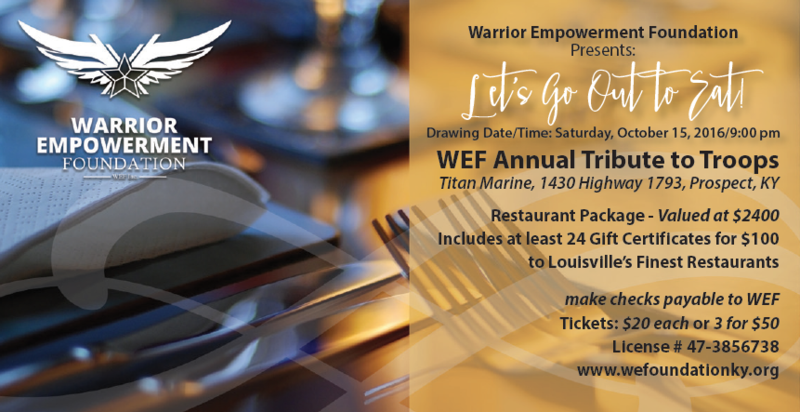 The WEF has partnered with two dozen of Louisville’s premier restaurants for a fantastic culinary adventure raffle. Win restaurant gift certificates worth $2,400! Raffle tickets are available for purchase by filling out the form below! Tickets are only $20 each or 3 for $50.